And heaven help any who got in their way. From east of the Volga they came down in waves. Of Mundzuk of Nimrod – Attila the Hun. He struck at the Romans – at first in the East. Would never submit to barbarian rule. He’d strike to the West, at the Visigoth’s lands. And all in their path, to Attila would fall. The Roman, Honoria sent him her ring. Valentinian’s sister would just have to wait. But one power could stop them: The Roman Empire. With broad sword and axe, cut the Huns down to size. Atilla, his luck it was fast running out. While close by their eagles, the legions, they stood. They’d banish this northern invader for good. The Huns and their allies stopped north of the Po. Attila retreated, defeated – laid low. Though murder, perhaps, is more likely I think. And so did the Huns, for their great leader mourn. In a coffin of iron and silver and gold. His kingdom, a box, neath a cold river bed. Cecil’s dead – that’s a bit of a shame. He had lived a long life. Hunt this hunter – ‘his highness’ he harms. Are limp, lily-livered and lame. Who are rude, unrepentant, and ….wise. My friends, there’s no time for remorse. The country is skidding off course. Should I stay? – should I flee? Oh valet……please saddle my horse. Hang on! – That’s just got to be wrong. Wake up, and stop smoking that bong. As the martyr, his prophet, obeys. And they bleat, as their shepherds he slays. 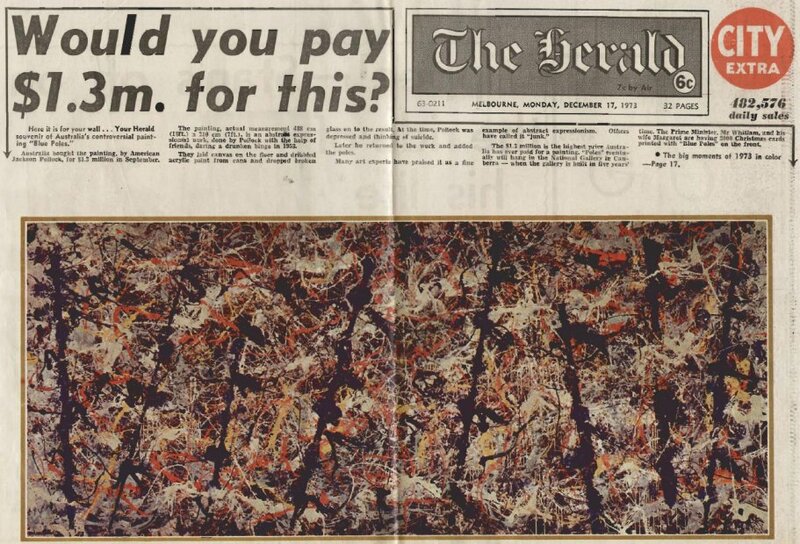 purchased by The Australian National Art Gallery for a then world record price of 1.3 million Australian dollars. Oh George Pell, you are really a dope. A conservative – you were our hope! Will make sure that you’ll never be pope. They say I’m a climate denier. And heat due to us. I’m not on that bus. Their vision alarmist and dire. Of deceit and collusion it reeks. As paid “science”, the latest graph tweaks. I’m not normal, says some mad old bag. I’d rather relinquish that tag.